A common misconception about Chromebooks is that they are essentially bare-bones computers, offering a web browser and some other basic functionality for a relatively cheap price tag. Although laptops running Chrome OS do not necessarily offer the wide array of software found on competing platforms such as macOS and Windows, their feature set can be expanded significantly through the use of apps for Chromebooks — many created by third-party developers and available free of charge. Because of the sheer amount of Chrome apps in existence, it can be time-consuming to narrow them down. We've gone ahead and done the work for you, listing what we consider to the best Chromebook apps along with what we like (and don't like) about each. Allows cross-platform, secure access for Chrome OS, Linux, macOS and Windows users as long as they're both running the Chrome browser. Connection stability can be shaky at times, especially during lengthy sessions. A long-running favorite in the Web Store, Chrome Remote Desktop lets you access any other computer using Google's browser (with permission, of course) or vice versa. The app comes in very handy for providing support to a colleague, friend or relative no matter if they're right around the corner or halfway around the world. It's also helpful for accessing your own files from a remote location. DocuSign takes what used to be a timely and inconvenient process and makes it simple, even for non-technical folks. There is a fee when sending more than three documents to be signed. Adding your John Hancock to a contract or other type of document used to mean physically putting pen to paper and then either handing it to its recipient or dropping it in the mail. With eSignatures now serving as legally binding in most scenarios, you can sign and submit documents in mere seconds right from your Chromebook. Integrated with Google Drive and Gmail, the DocuSign app lets you sign PDF documents instantly from right within your email interface. DocuSign's feature set is even more robust when it comes to configuring your own documents for others to sign, allowing you to specify locations that require a signature and send it right to the recipient's email address. In just a couple of clicks, they'll be able to fully execute a document and send it right back to you–with DocuSign's real-time status letting you know when they've viewed and signed on their end. The ability to create and store playlists as well as Spotify's enhanced search engine. Many Chromebook users complain about the in-app advertisements getting priority over the actual music playback, causing a poor user experience on slower connections. Spotify provides access to a vast music library containing millions of titles, searchable by song, album or artist name as well as by genre. The app transforms your Chromebook into a compendium of beats that no deejay can match, letting you sing along to your favorites while discovering tunes that you've never heard before. Besides the obvious, Gmail Offline's easy-to-use interface provides a slimmed down experience that makes reaching that elusive "Inbox Zero" goal much more realistic. Tends to drain battery life at a much quicker rate than most apps. This is a fantastic app if you want to catch up on email at times when you don't have an internet connection available, such as on an airplane or in the subway. Your messages are synchronized with Gmail Offline while connected so that they're ready and waiting when you're no longer online. You can even craft replies, which are stored by the app and sent the next time your Chromebook has an active connection. The app's underpinnings take full advantage of your Chromebook's technology, resulting in a seamless and fast user experience on newer models. If you're running one of the earlier Chromebooks, the memory usage of All-in-One may cause noticeable slowdowns on your system. as well as some lesser-known alternatives. Installing this app provides the ability to reach virtually anyone from your Chromebook, no matter their service of choice. That Dropbox offers a suitable alternative to Google Drive, and the amount of free space available is more than reasonable. While Dropbox is a great service to have for Chromebook users, the app itself is really nothing more than a redirect to the website. It would be nice if there was an integrated UI, like most other Chromebook apps. Many Chromebook users tend to own other devices as well, such as smartphones or tablets and even additional computers running a different operating system like Windows or macOS. This means that their files are usually all over the place, and having one repository that supports all platforms is important. Enter the Dropbox app, which provides access to a cloud-based repository for all of your photos, videos and any other file types through an intuitive interface that fits right in on your Chromebook. You can access or store anything using the app and your free Dropbox account, which allows a significant amount of storage space before you have to pay a fee. Speaking of free space, that's another issue that Chromebook users often encounter with smaller hard drives–a situation that can also be resolved with Dropbox. The app is also useful for sharing larger files or groups of smaller files with people other than yourself and allows them to share with you as well. Webcam Toy's keyboard shortcuts allow for quick and easy control when working with a large number of images. While this app is fun like its moniker suggests, Webcam Toy is also a pretty powerful addition to your Chromebook's built-in camera. Snap groups of photos in a flash and choose from almost a hundred effects to apply to them. You can also share directly to Facebook or Twitter with just one click. Supports well over a dozen video formats including MOV, AVI, MP4, DIVX, WMV, MPEG and M4V. Local processing time with larger files can be slower than expected, so you'll need to exercise some patience. Sticking with the webcam theme, Clipchamp helps you record HTML5 videos like a professional–converting and compressing on-the-fly when needed for quick, secure uploads to Facebook, Vimeo and YouTube. The app also serves as a standalone converter for videos created by someone other than yourself and even provides several editing features. The layout is clean and simple, encouraging you to clip and store as much content as you like for future ingestion. Hasn't been updated in years while the service's apps on other platforms continuously get upgrades. One of the nice features about most Chromebooks is their relatively lightweight body, allowing for easy transport no matter where you are. Another positive is that Chrome OS is a minimalist operating system, with its main focus on browsing the web. As you browse and come across an article or another piece of content that you're interested in but simply don't have time to read or view at the moment, the Pocket app lets you save it for later and access it from anywhere–even without an internet connection. In that sense, it's the perfect Chromebook companion. Works offline, and even lets you access custom functions and previous history while doing so. It's a stretch to call this an app (even though the developers do) as it simply links to a hosted calculator. This app offers a significant upgrade over Chromebook's default calculator, covering the basics but also supporting advanced conversions and functions. Its creators boast that it's the top calculator solution in the Web Store, and I haven't found any evidence to contradict that claim. And if these aren't enough, many Chromebook models also provide the ability to install Android apps from the Google Play Store. This opens up a treasure trove of possibilities in terms of how far you can stretch your Chromebook's functionality (for example, you can play games like Roblox on the Chromebook). 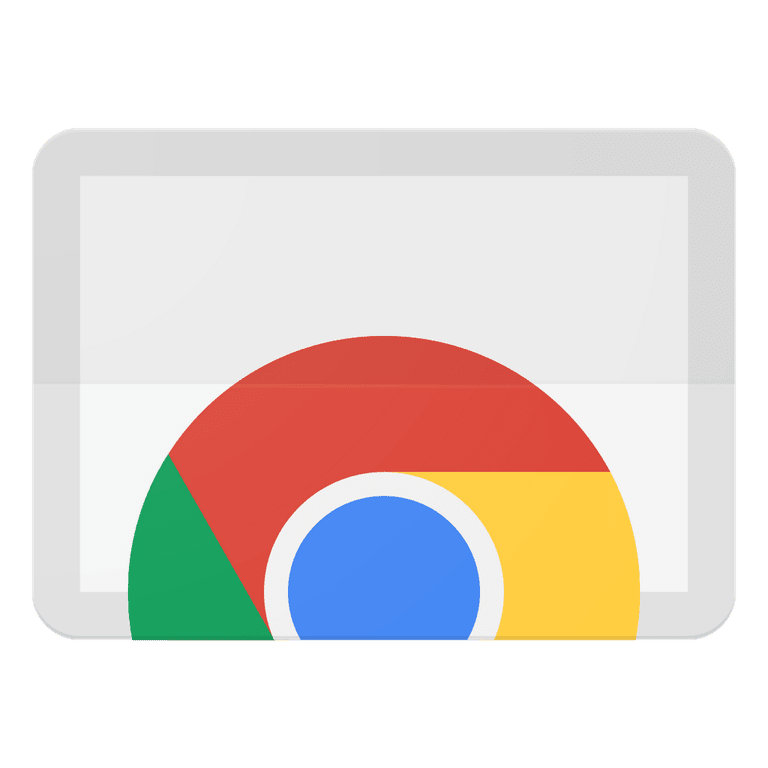 Check out The Chromium Projects site to find out whether or not your particular Chromebook supports Android app installation.